We’d love your help. 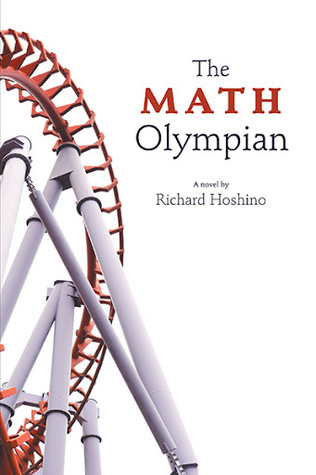 Let us know what’s wrong with this preview of The Math Olympian by Richard Hoshino. As a small-town girl in Nova Scotia bullied for liking numbers more than boys, and lacking the encouragement of her unsupportive single mother who frowns at her daughter’s unrealistic ambition, Bethany MacDonald's road to the International Math Olympiad has been marked by numerous challenges. Through persistence, perseverance, and the support of innovative mentors who inspi As a small-town girl in Nova Scotia bullied for liking numbers more than boys, and lacking the encouragement of her unsupportive single mother who frowns at her daughter’s unrealistic ambition, Bethany MacDonald's road to the International Math Olympiad has been marked by numerous challenges. Through persistence, perseverance, and the support of innovative mentors who inspire her with a love of learning, Bethany confronts these challenges and develops the creativity and confidence to reach her potential. In training to become a world-champion "mathlete", Bethany discovers the heart of mathematics – a subject that’s not about memorizing formulas, but rather about problem-solving and detecting patterns to uncover truth, as well as learning how to apply the deep and unexpected connections of mathematics to every aspect of her life, including athletics, spirituality, and environmental sustainability. To ask other readers questions about The Math Olympian, please sign up. Richard Hoshino Thanks so much for your question, Lynn! All of the characters are fictional, but they are hybrids of real people who have influenced my life. For…moreThanks so much for your question, Lynn! All of the characters are fictional, but they are hybrids of real people who have influenced my life. For example, Bethany (the main character) meets several mentors throughout the course of the book; all of her mentors are inspired by actual mentors I’ve had over the past twenty years, who modeled innovative teaching techniques and showed me that mathematics isn’t about memorizing formulas or rules (in high school) or about memorizing theorems and proofs (in university). Also the settings of various scenes parallel some of my own personal experiences. For example, all of Chapter 2 is set in Ottawa, Ontario, at a week-long event called the Canadian Math Society “National Math Camp”. I was the co-director of this Math Camp for seven years, and so I could draw upon my experiences as a coach and trainer to create a set of quirky and interesting characters, and show how difficult problems can be solved in a myriad of elegant ways. Given all of my experiences, as well as the mentorship I have received from so many world-class teachers, I felt that I could write a fictional novel that would grab and inspire readers, to reveal how math can be taught in an inspiring and creative way, and show how mathematics develops problem-solving skills, daring, critical-thinking and imagination – the types of skills Canadians require if we’re going to be at the forefront of innovation in the 21st century. I just finished "The Math Olympian", by Richard Hoshino. I couldn't help being reminded of the (possibly apochryphal) anecdote relating the number of book sales to the number of equations in the book... perhaps Hoshino has never heard that story, but I suspect that the truth is that he saw it as a challenge: can an author present a meaningful story while introducing mathematical reasoning and non-trivial problem-solving methods? On the mathematical front, his explanations are clear and insightfu I just finished "The Math Olympian", by Richard Hoshino. On the mathematical front, his explanations are clear and insightful: in particular, the first-person perspective he provides as Bethany solves the 5 CMO problems is fascinating. The novel is also peppered by a number of puzzles and brain-teasers which somehow always seem to fit just right. On the story front... well, it actually works. I found myself rooting for the teenage Bethany as we watch her grow from an insecure tween into a mature and balanced young mathematician (and woman). And if some passages betray more of a preoccupation with ethereal (and spiritual) matters than one might expect from a book called "The Math Olympian", they do so in a natural and honest manner: Hoshino simply wears his heart on his sleeve -- his passion for mathematics, the pursuit of one's dreams, and the discovery of one's self are evident and quite infectious. I find myself wishing I had had him as a teacher when I was a teenager. You don't have to love math to enjoy this page turning, entertainingly educational story. It occupies almost it's own genre in finding a way to combine themes of competition, problem-solving, bullying, friendship and more. The story of determination and overcoming obstacles is engaging in itself, and to boot, you find your self learning mathematical problem solving principles and even understanding complex mathematical proofs. This would be an excellent book for middle school, junior high or senio You don't have to love math to enjoy this page turning, entertainingly educational story. It occupies almost it's own genre in finding a way to combine themes of competition, problem-solving, bullying, friendship and more. Richard Hoshino in the Q & A section at the back of his book says that his target audience is high school students, but he also hopes that the general public will enjoy it as much as it did the exploration into philosophy in Sophie’s World. I would add a few more groups to his target audience beginning with middle school and high school math teachers and those who teach people to be such teachers. I would also add anyone who enjoys math and likes to do math puzzles, plus those who learned a Richard Hoshino in the Q & A section at the back of his book says that his target audience is high school students, but he also hopes that the general public will enjoy it as much as it did the exploration into philosophy in Sophie’s World. I would add a few more groups to his target audience beginning with middle school and high school math teachers and those who teach people to be such teachers. I would also add anyone who enjoys math and likes to do math puzzles, plus those who learned a lot of math but never appreciated its beauty or found joy in problem solving. The book has five sections each featuring a problem that appeared on a Canadian Math Olympiad test. (Thus these are difficult problems.) Throughout these fives sections the reader becomes acquainted with Bethany MacDonald and follows her development from a taller than average and self-conscious fifth grader through the start of her first year in university. But it is not just her development as a mathematician that we see, but also her development into a fully engaged and engaging young woman pursuing a dream while dealing with many issues of adolescence. We see her grow as a leader, a trusted friend, a confident speaker, and an outstanding writer of mathematical proofs. Her self-confidence grows despite some setbacks. We also become well acquainted with her single mother, another young woman aspiring to be a math Olympian, and even a persistent nemesis. In addition to the Olympiad problems the book contains many other interesting, enlightening, and approachable math problems and puzzles. But there is so much more to the book than the mathematics: discussions about how math should be taught, how one might deal with social pressures, whether it is better to play it safe or commit fully to a goal, and even what one’s relation to religious faith might be. The story shows how caring teachers and mentors can encourage and influence students. There are also examples, both positive and negative, of parenting styles. Dr. Hoshino has crafted a book that can be enjoyed for many reasons. The reader can’t help but root for Bethany and her friends. Finally, USA readers will be introduced to some terms and facts about Canada that might enlighten them about our neighbor. For example, Canada has a two-dollar coin and only one private secular university. I’m a ninth grade girl interested in math. I picked up this book without knowing quite what to expect, but following the author’s visit to my school. Then I was gripped. The book has a lot of math, all of it very well woven into Bethany’s narrative, the story of a teenage girl’s years-long journey following math, and towards self-actualization. It’s a story of a girl turning into a woman, with twists and turns that make life what it is. Bethany, a strong leader that people look towards, wouldn’t b I’m a ninth grade girl interested in math. I picked up this book without knowing quite what to expect, but following the author’s visit to my school. Then I was gripped. Bethany, a strong leader that people look towards, wouldn’t be linked to the timid girl she once was, brilliant but not exactly blooming confidence. Her dream of making the IMO team was the start of her mathematical journey, and towards which she dedicated hours upon hours. I really admired Bethany’s perseverance. I knew that there are many real people that give everything they have, for their one and only dream; yet many more who are afraid of failure, after having devoted so much. But why wouldn’t so-called failure be worth it? In it are featured five past IMO questions, which the author guides us through in Bethany’s mind. I found this a very cool way of presenting the solutions, helping the reader grasp them more easily. There was math I didn’t understand, which I definitely expected from five Olympiad questions, but I made sense of more than I would’ve thought I could. I loved the way the author showed us how to simplify intimidating problems. Sprinkled all throughout the book were many “fun facts”, really teaching us little strategies or applications of math - things I never thought about. As a former math team captain, I found that this book captures everything I loved about math competitions and camaraderie. From relays and olympiad problems to heartbreak and religious philosophy, this book's got it all. A must read for nostalgic mathletes and people new to the art. Richard has a talent for rendering the most inscrutable problems transparent, while preserving all the elegance and beauty of problem and problem-solving. He tells a great story too! I met him just once, but I know he As a former math team captain, I found that this book captures everything I loved about math competitions and camaraderie. From relays and olympiad problems to heartbreak and religious philosophy, this book's got it all. A must read for nostalgic mathletes and people new to the art. I received this book free through Goodreads First Reads. I started reading this book last night and it is amazing! The style in which it is written is magnificent and the story is very poignant to modern day society. This is a book I will read again and again! I highly recommend this book! I had the pleasure of meeting Richard Hoshino and it was immediate that this man loves, LOVES math. His passion was so infectious that within 10 minutes he got all of us inquiring deeply about math (there were about 8 of us ladies). So when he told us he wrote a math novel about a teenage girl finding meaning in life through math and that the book is available at our public library, I put a hold on it immediately on my smartphone before anyone else had the chance to. It's a happy feel-good novel I had the pleasure of meeting Richard Hoshino and it was immediate that this man loves, LOVES math. His passion was so infectious that within 10 minutes he got all of us inquiring deeply about math (there were about 8 of us ladies). So when he told us he wrote a math novel about a teenage girl finding meaning in life through math and that the book is available at our public library, I put a hold on it immediately on my smartphone before anyone else had the chance to. It's a happy feel-good novel about a teenage girl and math. The book was divided based on the math exam format the main character, Bethany, was writing. The math part was complex as hell, but Hoshino managed to explain it very clearly in ways I never thought I could understand. Math was never explained to me this way before, so I have never looked at it this way before. It was fascinating and completely mind blowing to me. I've never been so engaged with math before and found myself re-reading the math parts late at night. The fun math bits aside (yes, fun), a part of me also loooooved the teeny part of the book. It was written very lightly so it balanced out the intense math part very well. Reading this book made me very envious of his students and wishing I had someone like Richard Hoshino as my teacher and mentor. What a refreshing read. I think Richard Hoshino truly gave back to the world by this masterpiece. I personally discovered the beauty of math at a very young age and it has changed my life ever since. What an engaging novel with a little touch of math! When I first picked up this book, I knew that I do not want to finish it all at once, I wanted to live with it. Every week, just a few pages, just a few stories.. Absolutely a phenomenal book about grit, resilience, and passion. Definitely a read for all, especially young girls interested in STEM and mathematics in particular. Also highly recommend this book to teachers of all subjects and grades. A phenomenal read for anyone with an interest in Mathematics, especially math teachers. After 15 years of teaching, this book helped to bring me to an understanding of my purpose in the Mathematics world. While I have never been the smartest, quickest, or appreciative learner as a student myself, I have realized that these are the qualities that help me achieve my goals as a teacher. As Bethany explains different situations in the classrooms of her mathematics life, the ideas and goals that her A phenomenal read for anyone with an interest in Mathematics, especially math teachers. As Bethany explains different situations in the classrooms of her mathematics life, the ideas and goals that her teachers have for her help her in her own personal journey. As a math teacher, my goal is to make math fun, and for students to see the beauty in a mathematical problem. But also, my goal is to help students see the problems solving aspects of life around them, and how mathematics can help you to solve problems in any situation. This book reminded me of why I went into teaching - to make a difference in students' lives. While I do not have the opportunity to teach many gifted students such as Bethany, I do have the opportunity to teach many at-risk students. It is in this area where I feel most excited. But I realized, after reading this book, I need to offer those students the same opportunity to challenging problem solving situations (while not at the level Bethany was at) for real-life issues they will face. Mr. Hoshino was our valedictorian for the Bachelor of Mathematics degree at the University of Waterloo in 2001. His jovial demeanor came through in a number of the characters in this novel, and his ability to show the beautiful solutions for the five problems illustrated his knack for helping everyone understand some of the most difficult problems (which, as a recipient of his kindness, I can attest). I thoroughly enjoyed the novel, and although some of components of the proofs for questions #4 and #5 still have me boggled (and no, I still don't love Geometry), the excitement that Bethany felt when she had her "ah ha!" moment in solving them reminded me of those same moments I felt as a student when I would be able to do challenging problems on my own. I always enjoy seeing those moments in my own students at the high school level which is one of the most rewarding moments in my daily classroom. Even though I'm a high school math teacher, when a friend gave me The Math Olympian, I immediately thought, "A 500-page novel about math! This is a bit much!" The story captured me immediately. Throughout the novel, Hoshino illustrates the beauty of mathematics. In Bethany's journey (the protagonist), she discovers numerous problem-solving strategies that shows that math can be elegant (rather than always mechanical), and portrays a teenager who is immersed in the challenge of solving problems i Even though I'm a high school math teacher, when a friend gave me The Math Olympian, I immediately thought, "A 500-page novel about math! This is a bit much!" The story captured me immediately. Throughout the novel, Hoshino illustrates the beauty of mathematics. In Bethany's journey (the protagonist), she discovers numerous problem-solving strategies that shows that math can be elegant (rather than always mechanical), and portrays a teenager who is immersed in the challenge of solving problems in various ways. That said, he frequently points out that mathematics serves as the foundation for so many industries that we rely on every day. It was cool to learn about all of these applications. I appreciated how cohesive and detailed the novel was. Even though the story jumps between time periods in Bethany's life, there is an effortless flow. Furthermore, Hoshino does a brilliant job explaining very complex mathematical concepts in a clear way (I'll admit I got a bit lost on the last Olympic problem, but given how difficult these problems are, I thought that was a testament to his explanations). Would recommend to any math lovers. Really enjoyed the mix of fictitious story and math problems. Loved the simplicity of the story combined with emotional depth of it. Hoping to read more of Richard's books. Richard Hoshino, a first-time novelist, teaches mathematics at Quest University Canada in Squamish, British Columbia. To get in touch with Richard, please visit www.richardhoshino.com or send him an e-mail at richard.hoshino[at]gmail.com.